Family-centered care ensures the health and well-being of children and their families though a partnership approach to health care decision-making between the family and health care provider. It honors the strengths, cultures, traditions, and expertise that everyone brings to this relationship. 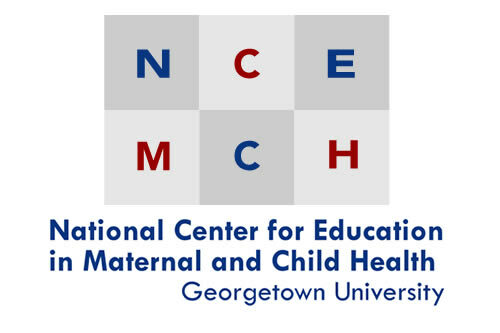 This page contains learning opportunities aimed to assist MCH professionals increase their knowledge and skills of the family-centered system of care and improve the health outcomes of women, children and families. Competency 8 of the MCH Leadership Competenciesprovides the organizing framework for learning opportunities presented on this page. Goal 3 of the Division of MCH Workforce Development's Strategic Plan 2012-2020 supports interdisciplinary/interprofessional graduate education and training programs that emphasize leadership, and family-centered, community-based, and culturally competent systems of care. Also see the Family Engagement Training Brief. Competency 8K1: The definition of family-centered care and the origin of the family-centered care perspective. Every Child Deserves a Medical Home/Family-Centered Care [YouTube Channel]. Date Developed: 2012. Source:American Academy of Pediatrics. Presenter(s): n.a.. Type: Video. Level: Introductory. Length: 20 minutes. Competency 8K2: At least one example of the principles of family-centered care in MCH policies, programs, or clinical practice (e.g., a medical home model of primary care). The Affordable Care Act and Children with Special Health Care Needs: An Analysis and Steps for State Policymakers. Date Developed: 1/27/2011. Source: National Academy for State Health Policy and the Catalyst Center .Presenter(s): Carol Tobias; Meg Comeau; Kathleen Farrell; Catherine Hess; Liz Fowler; Linda Peltz; Phyllis Sloyer; Steve Fitton. Type: Narrated Slide Presentation. Level: Intermediate. Length: 90 minutes. Spotlight on Affordable Care Act (ACA). Date Developed: 01/2014. Source: MCH Navigator. Presenter(s): Beth DeFrancis-Sun, MLS; John Richards, MA. Type: Training Series. Level: Intermediate Introductory Advanced. Length: Series, various lengths. Competency 8S1: Solicit and use family input in a meaningful way in the design or delivery of clinical services, program planning and evaluation. How To Incorporate Best Practices in Family Centered Care in Your Practice. Date Developed: 5/29/2013. Source:National Center for Medical Home Implementation. Presenter(s): Rebecca A. Malouin, PhD, MPH; Javier Aceves, MD, FAAP; Joseph Pringle, Jr., MD, FAAP; Shannon Huffman; Debbi Kennerson-Webb, MA, LPA. Type: Webinar Archive. Level:Intermediate Advanced. Length: 60 minutes. Competency 8S2: Operationalize the “family-centered care” philosophical constructs (e.g., families and professionals share decisionmaking; professionals use a strengths-based approach when working with families) and use these constructs to critique and strengthen practices, programs, or policies that affect MCH population groups. Creating the System of Services for Children and Youth with Special Healthcare Needs--Region VIII. Date Developed: 9/20/2012. Source: Health Resources and Services Administration. Presenter(s): Lynda Honberg, Kathy Watters, Sylvia Sosa, and Naomi Clemmons. Type: Webinar Archive. Level: Introductory Intermediate. Length: 80 minutes. Increasing Meaningful Partnerships between Families and MCH Partnerships [Cultivating Family/Professional Partnerships]. Date Developed: Unknown. Source: MCH Public Health Leadership Institute. Presenter(s): Eileen Forlenza. Type: Narrated Slide Presentation. Level: Intermediate Advanced. Length: 30 minutes. Competency 8S3: Ensure that family perspectives play a pivotal role in MCH research, clinical practice, programs, or policy (e.g., in community needs assessments, processes to establish priorities for new initiatives or research agendas, or the development of clinical guidelines). Family Advocacy and Involvement in Title V Programs. Date Developed: 12/1/2011. Source: South Central Public Health Training Center. Presenter(s): Rylin Rodgers, BA. Format: Video Webinar. Competency 8S4: Assist primary care providers, organizations, and/or health plans to develop, implement, and/or evaluate models of family-centered care. How to Enhance Care Delivery for a Diverse Population. Date Developed: 3/27/2013. Source: National Center for Medical Home Implementation. Presenter(s): Dwight Yoder, MD; Diane Dooley, MHS, MD; . Type: Webinar Archive. Level:Introductory. Length: 60 minutes. Competency 8S5: Incorporate family-centered and medical home models of health care delivery into health professions and continuing education curricula and assess the effect of this training on professional skills, health programs, or policies. National Center for Family / Professional Partnerships. 2014. Family-centered care assessment. Albuquerque, NM: National Center for Family / Professional Partnerships, multiple items. Hughes D. 2014. A review of the literature pertaining to family-centered care for children with special health care needs. Palo Alto, CA: Lucile Packard Foundation for Children's Health, 32 pp. Moursi A. 2013. Patient centered care. Chicago, IL: American Academy of Pediatric Dentistry, Pediatric Oral Health Research and Policy Center, 12 pp. Toomey SL, Cheng TL; American Academy of Pediatrics-American Pediatric Association Workgroup on the Family Centered Medical Home. 2012. Home visiting and the family-centered medical home: Synergistic services to promote child health. Elk Grove Village, IL: National Center for Medical Home Implementation, 2 pp. Anderson B. 2011. Promoting family-centered care for children with special health care needs.Washington, DC: Grantmakers in Health, 2 pp. (Views from the field). Family Voices. 2008. Family-centered care self-assessment tool: User's guide. Albuquerque, NM: Family Voices, 13 pp. Family Voices. 2008. Family-centered care self-assessment tool: Family tool. Albuquerque, NM: Family Voices, 8 pp. Family Voices. 2008. Family-centered care self-assessment tool: Provider tool. Albuquerque, NM: Family Voices, 8 pp.